I bought this when it was tried on me on counter. I love a good medium coverage but always forgot I had this in my stash. I lightly buff this all over my face and stipple extra on some extra coverage around the centre of my face where I have more to hide. This is how I apply all my foundations. I love how light it is - which is why I loved it on my sister so much. It glows on young skin, not too heavy. For myself it gives me a cleaner look; that satin, skin-like finish halfway between dewy and matt. Ivory is on the yellow side of neutral but a pretty good match for me. 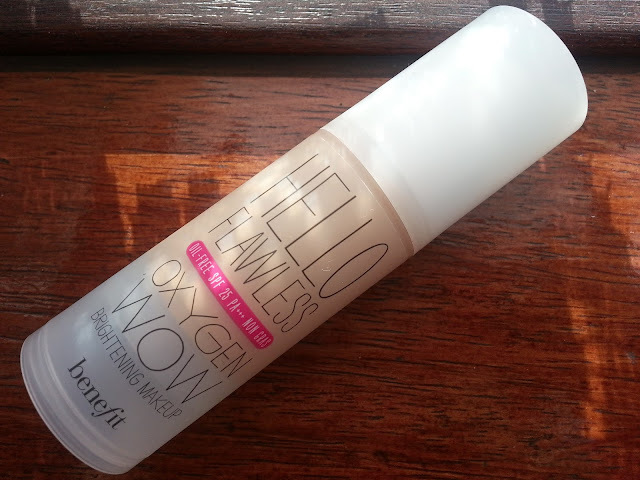 I set it with my Hello Flawless Custom Face Powder. Any more Bene-faces out there?